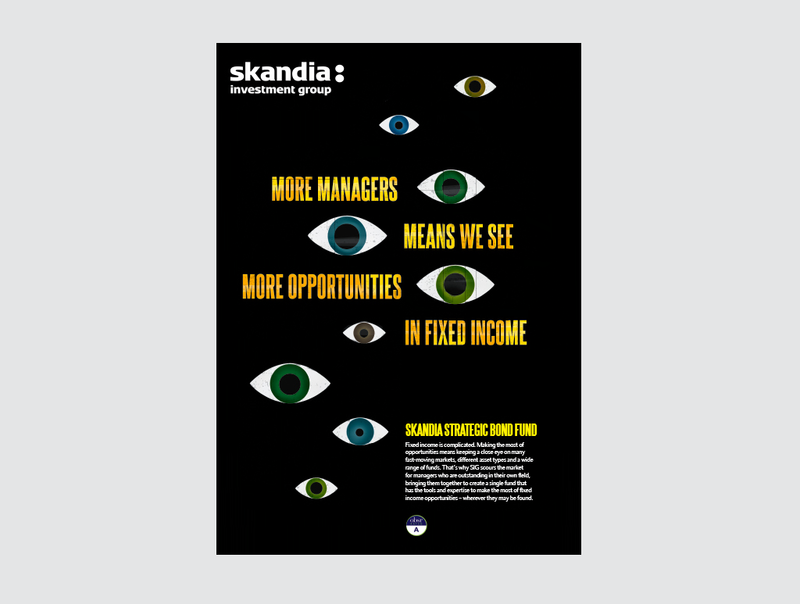 Advertising style for Skandia Investments Funds. They wanted things to jump off the page in and industry awash with formulaic advertising. 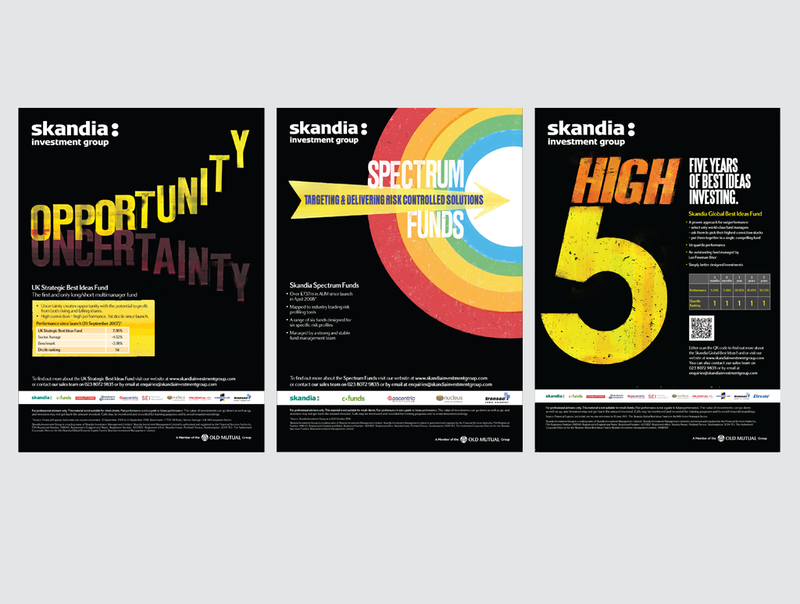 This called for bold typography and illustration with rich colours to make an immediate impact (which led to fantastic results for their funds).